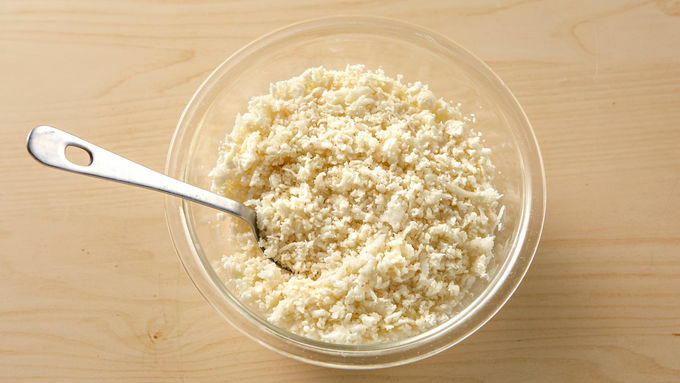 Using a box grater or a food processor, shred cauliflower into crumbles. Reserve 4 cups; store the remainder in the fridge or freezer for future pizzas. Cook cauliflower in microwave in a large microwave-safe bowl for 8 minutes. Allow to cool 10 minutes. 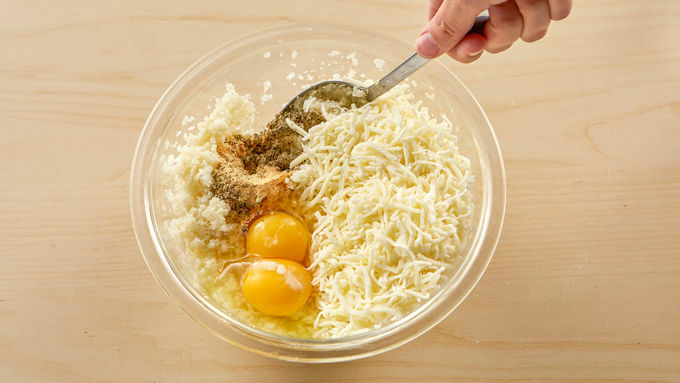 Add eggs, 2 cups shredded mozzarella cheese, oregano, basil and garlic powder and stir to combine. Preheat oven to 450°F. Lightly grease 2 baking sheets (or pizza pans); divide mixture into 12 balls. Place balls on sheets and pat each into a thin round about 4 inches wide. Bake in oven 15 minutes until golden brown (the edges might be charred; this is OK). Remove sheets from oven and heat broiler. Top each mini crust with pizza sauce, basil leaves, remaining mozzarella and Parmesan cheeses and tomato slices. Broil pizzas until cheese is melted and tomatoes are slightly roasted, about 5 minutes. Remove from oven and let cool 5 minutes before serving. In case you haven’t jumped aboard the Pinterest train yet (in which case, hello, what are you waiting for? Endless streams of crafts, recipes and pictures of cute puppies sleeping await! ), cauliflower pizza crust is all the rage. What is it, exactly, you ask? Well, I’ll tell you. It’s awesome. It’s tasty. 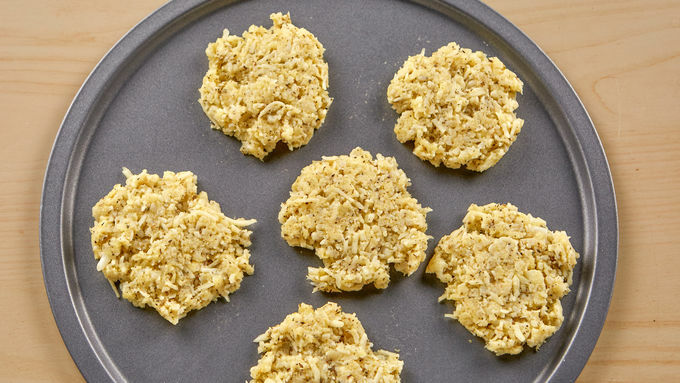 It’s the low-carb alternative to regular pizza crust. 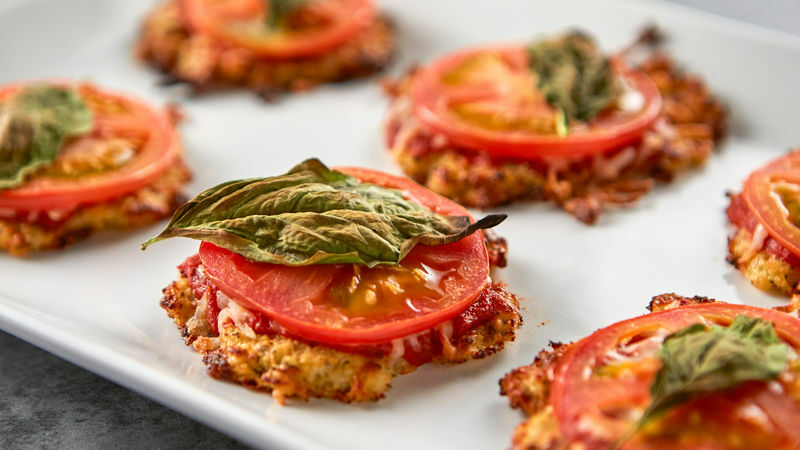 And these Mini Cauliflower Pizzas are the perfect way to try them. So let’s get on it, shall we?Sure, they don’t taste just like real pizza crust, but they don’t taste anything like cauliflower, either. You know what they taste like? AWESOME. So dig in! Grab a slice of these pizza crust recipes!